To provide a coordinated approach in the delivery of physical activity opportunities thorough cooperation between all stakeholders and sectors including sport, health leisure, education, transport planning, corporations and community organisations. To use physical activity as means of prevention. To increase the visibility and profile of active lifestyles and sport for all by improving data collection. To recognize physical literacy as a key component of the European Framework of Key Competencies. To work towards raising the profile of physical activity in the school context, while creating quality partnerships. Provide fun, inspiring and effective interventions to create a lifelong love of sport for all and physical activity, as well as a broad offer of spirt and PA activities so that citizens can choose what suits them best. To design spaces and places for people to be active. To create roadmaps for active cities within the community. To broker changes in public perceptions and (changes) in individual behaviours. As an active partner of the PASS project FESI took part in various conferences, contributing ideas, policy recommendations. Notably at ISPO in 2017, FESI took the lead in the organisation of a workshop, highlighting the dangerous levels of inertia and sedentary lifestyle in Europe. At the final event of the PASS Project, FESI Secretary General Jerome Pero, highlighted the industry’s stance on the issue. Pero clarified that the sport industry wants to be part of the physical activity promotion notably by stimulating sport as an experience to its customers. “FESI actively advocates sport as a long-term investment, not a cost,” he added. 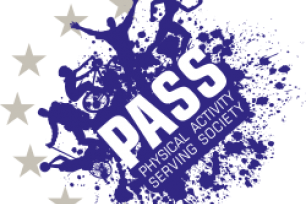 At a time when physical inactivity and sedentary lifestyle enjoy consistent growth, the PASS project brought together different organisations and professionals to provide insight on the possible solutions to this epidemic. FESI is delighted to have participated in shaping the dialogue and policy recommendations that we hope will be applied in the future by all stakeholders.